If you are in the business of collecting the three to five sets that Bunt puts out during each week, I do not envy you, but I admire your tenacity. These sets are literally some of the most volatile and unpredictable cards in the trade economy, and it all has to do with set collectors looking to build their collection. The unpredictable part comes in how each card comes to market, as there is a significant difference between the two types of set. Here are some tips. These cards are ones that have a set run for each card, and once those are sold they are taken out of packs. The sets that fall under this designation are going to be more valuable the rarer they are, but also provide a level of relief knowing that pack sales and promotions wont affect card value. I always see more people chasing the limited run sets, which means there will be more competition for the cards. There are two elements that will drive the value of these cards. Pack price with odds and number of sales that include these cards as a part. If the pack price is high and odds are low, the cards will be quite valuable, and we have seen that a few times in the past. If the pack price is low, and the odds are low, the set will be easy to collect and not as valuable. Secondly, if there is a pack release like we saw yesterday with the black pack, the set cards could fall victim because they are unlimited run. In all likelihood, you will be competing with Bunt completists who will have a hail storm of awesome cards to throw at anyone who has one they need. I have seen some crazy offers come through on super rare inserts, including but not limited to sigs. 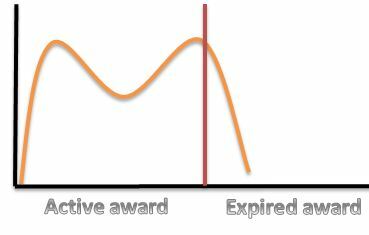 Once the award is given out, the value plummets, and opportunity is lost. If you like the cards and dont care about the reward, trade while there is a reward to get some nicer stuff and chase down the card again afterwards for pennies on the dollar. I should also mention that newer cards will always be red hot, so be prepared to go quite insane trying to find someone willing to trade. When I need a set card, its easy to post the same “I NEED THIS CARD!” message over and over again on the fan feed until someone catches it. This might be the only time I recommend sending blind offers through the “Trade” button on the master card sheet. Just be aware YOU WILL NEED TO OVERPAY when you do this. I would pick people with the lowest collection scores on the list to ensure you arent offering against someone who is also going for the set. That could get you ignored for good. Here is what I dont get. The set cards are chased with reckless abandon, but when the reward cards are given out, no one seems to care about them. It seems like the Bunt economy is driven by pack pulled inserts, not the rarer reward cards that are delivered as a result. I just dont get it, but it is what it is. Maybe my assessment is off. The better the checklist for a set, the more people will be chasing it. You should now see why Trout, Jeter and Cabrera are in every release. People want them, and the crowd determines value. Non player cards like we saw recently with Between Innings set rarely carry more value than a player card, despite the fact that 99.9% of all inserts are significantly less playable and score at common white levels. Be mindful of the economy, and you should come out fine. Dont get frustrated if people decline your trades, or wont give up their set cards unless you give sigs. That is all part of the chase. Remember, these cards are quite coveted by many people, and you are not the only one who is looking. I would almost advise to go on the hunt rather than posting you need a certain card. Too many others will be looking and your request will likely be overlooked if you have a collection score below 80.